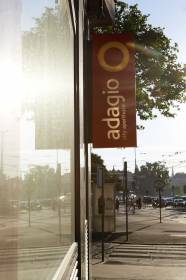 The Adagio Vienna City is located in the heart of Vienna, right next to Julius Raab Platz and in close proximity to the ring road and the historical city center. We offer 124 fully equipped rooms, from studios for 2 people to 2-room apartments for 4 people. Located in the “Stubenviertel”, with its unique facades, narrow alleys and numerous courtyards, this hotel is the ideal base for a business trip or a long, relaxing weekend.